Corn sprouts through the rye cover crop. A farming experiment in Crosby and Harrison townships has proven successful in improving soil quality and reducing the use of herbicides. Now the Hamilton County agency that helped facilitate it is encouraging other farmers and even home gardeners to give it a try. 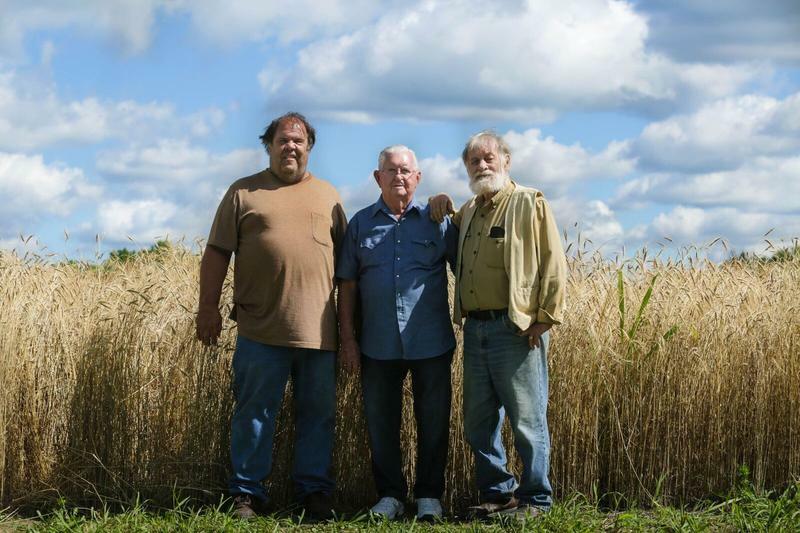 In a study beginning in 2014, four of the largest farms in Harrison and Crosby townships planted cover crops in hopes of reducing erosion and retaining nitrogen and water in the soil. Initially the seeds were dropped by air between corn and soybeans. But after drought conditions for the first two years, the farmers gently tilled them in or used no-till methods after harvest. The cover crop that worked best for them was rye. 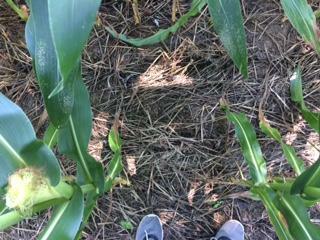 Rye covers the ground beneath corn on the Heyob Farm. Executive Director of the Hamilton County Soil and Water Conservation District Holly Utrata-Halcomb says results of the study are "quite positive." During the first two years of the study, the cover crop seed was planted in September by air while corn and soybeans were still in the ground but, "Because the seed never really made it to the soil," says Utrata-Halcomb, "the farmers went to direct seeding after harvest." Utrata-Halcomb says home gardeners can interplant the cover crop seed in early September. She says her agency sells cover crop seeds at cost. Grasses, legumes and radishes planted by air this month at four Northwest Hamilton County farms will together form a one two three punch to boost soil fertility, reduce erosion and improve water quality. Friday a plane dropped 61 lbs. of seeds an acre on the Heyob, Knollman, Minges and Hoerst Farms.